Beirut: Renewed air strikes have hit the last opposition holdout in Syria's Eastern Ghouta, leaving 70 civilians dead in around 24 hours, as regime troops pressed an offensive to pressure rebels to withdraw. Eleven people also suffered breathing problems in Douma, the last rebel-held pocket of Eastern Ghouta, with first responders accusing forces loyal to President Bashar al-Assad of using "poisonous chlorine gas". 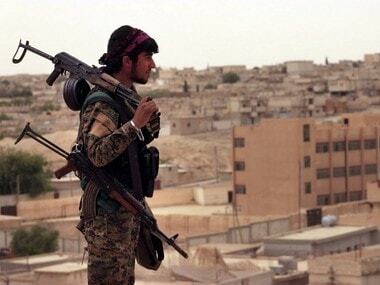 State media, quoting an official source, said on Saturday the reports were rebel "fabrications". The regime has used a combination of a fierce military onslaught and two negotiated withdrawals to empty out 95 percent of the enclave near Damascus, but rebels are still entrenched in its largest town of Douma. Bombing had subsided as Moscow pursued talks with Jaish al-Islam, the Islamist faction that holds Douma, putting military operations seemingly on hold for about 10 days. 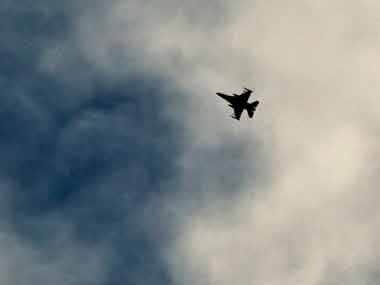 The Britain-based monitor said 30 civilians, including eight children, were killed on Saturday in similar raids. "The bombing has not stopped. We can't even count all the wounded," said Mohammed, a young doctor inside Douma. "There are some wounded who we couldn't operate on in time, and they died," he told AFP. Footage published by the White Helmets civil defence showed rescuers using their bare hands to pull back dirt and tiles in a bombed-out house, eventually freeing a young man trapped underneath. As they stood him up, the rescuers looked up at the sky where the roar of a warplane could be heard. Syrian troops matched their renewed bombing with a ground operation in the orchards surrounding Douma, with state TV saying they had "stormed" the fields. "The regime is trying to tighten the noose around Douma from the west, east, and south," said Observatory head Rami Abdel Rahman. Jaish al-Islam spokesman Hamza Bayraqdar said in a statement Saturday that the rebels had not targeted any neighbourhoods in Damascus, and that the regime had "violated the ceasefire decided during previous negotiations". Abbas, a retired 57-year-old Syrian man, said his neighbourhood in the capital's west was hit hard on Saturday. 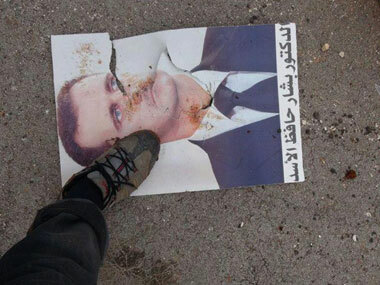 "It looks like Douma is the end of the story, and endings are always hard," he told AFP. "We've been waiting for this for years, whether in Ghouta or in Damascus," said Abbas. Since 18 February, the regime's Ghouta offensive has killed more than 1,600 civilians and sliced the area into three isolated pockets, each held by different rebel factions. 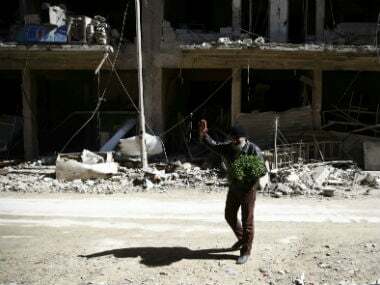 Moscow also stepped in to negotiate a deal for Douma, the third and final pocket where Jaish al-Islam had been angling for a reconciliation agreement that would allow its members to remain as a police force. Jaish al-Islam's Bayraqdar told AFP that "the negotiations have not stopped" with the Russians, and that the rebel group was still demanding to stay in Ghouta. "We are attached to our land and revolutionary principles, and we have already refused ... to leave Ghouta," he said. But as talks dragged on, Syria and its Russian ally threatened Jaish al-Islam with a renewed military assault if the group did not agree to withdraw. SANA said they faltered when the rebel group refused to release detainees it is holding in Douma, warning the military assault would only stop if hostages are released. 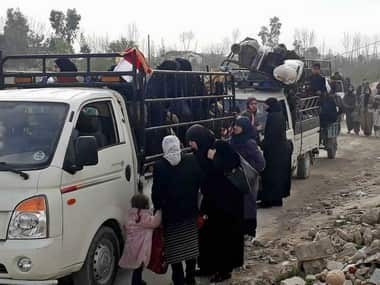 A Russian army official quoted by Russian news agencies accused Jaish al-Islam of "violating the implementation of agreements, blocking the exit of civilians, fighters and members of their families from the city of Douma." Top Jaish al-Islam political figure Mohammad Alloush on Friday said the talks had been going "well" until a power struggle emerged between the regime's allies. Nawar Oliver, an analyst at the Omran Institute, told AFP the rebel group was facing "massive" military pressure. "The negotiations failed and the regime wants its conditions - the air strikes are a taste of what could happen if its conditions are not implemented," he said.